Green Carbon Steel Fantasy Sword | BUDK.com - Knives & Swords At The Lowest Prices! 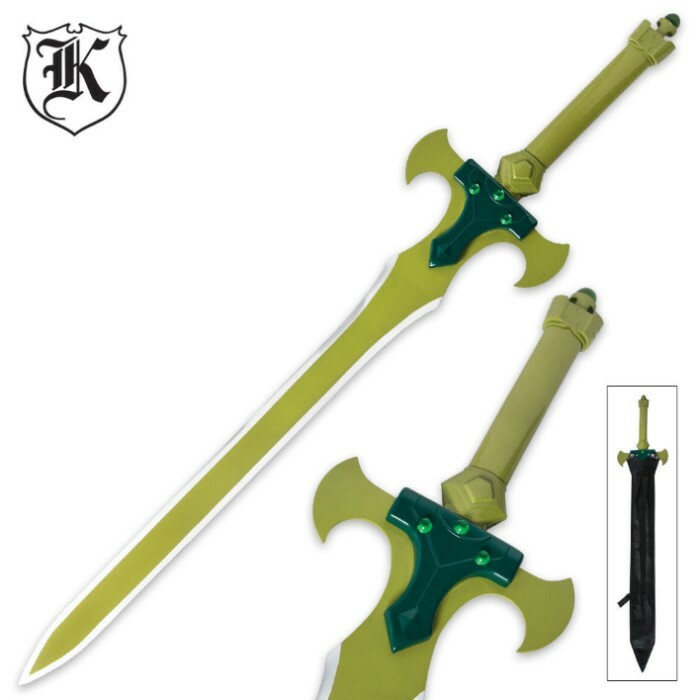 The Green Carbon Steel Fantasy Sword will meet all of your expectations for what you want in a quality anime sword. 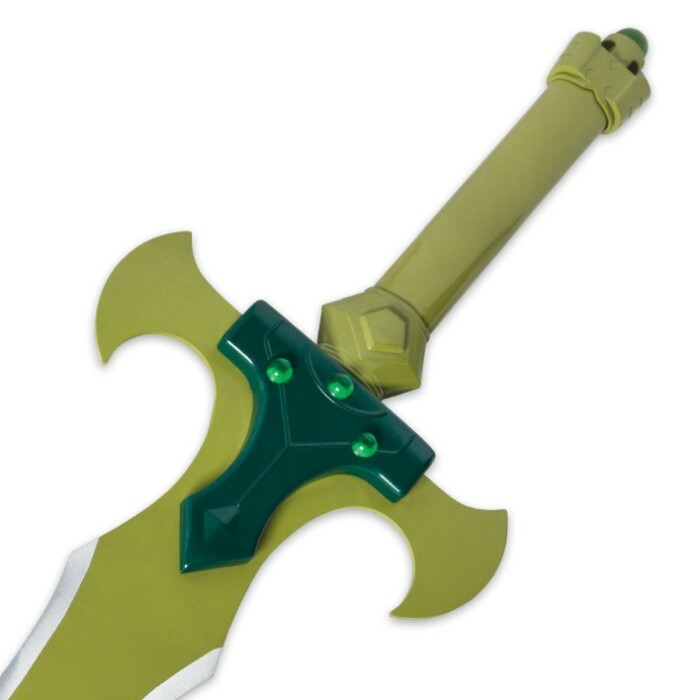 You will definitely get noticed at your next cosplay event with this beautifully green, painted 41-1/2"sword slung across your back. This sword will be legendary at your cosplay events and will defeat all of its opponents. It is accented with faux jewels to complete its look. A pleather scabbard is included.